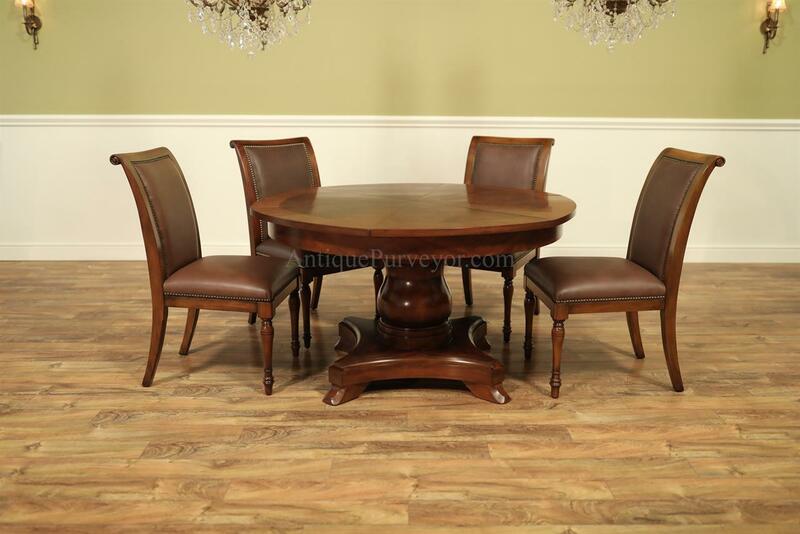 Shown with solid walnut casual country leather chairs. 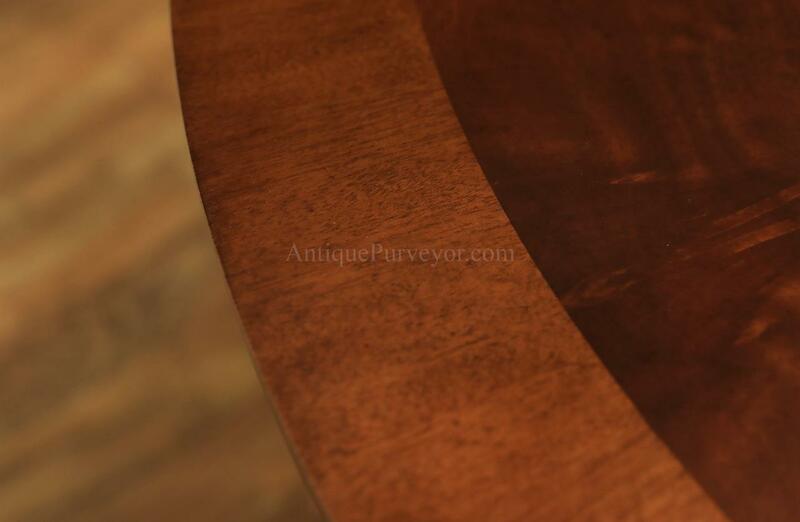 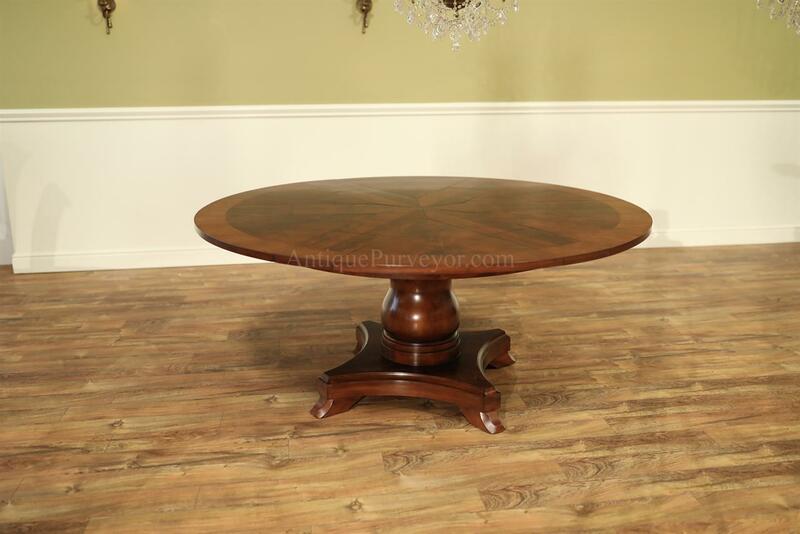 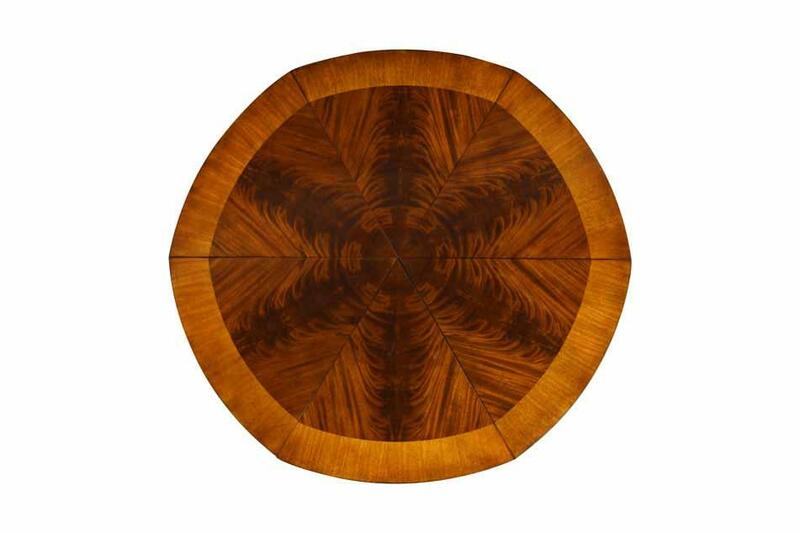 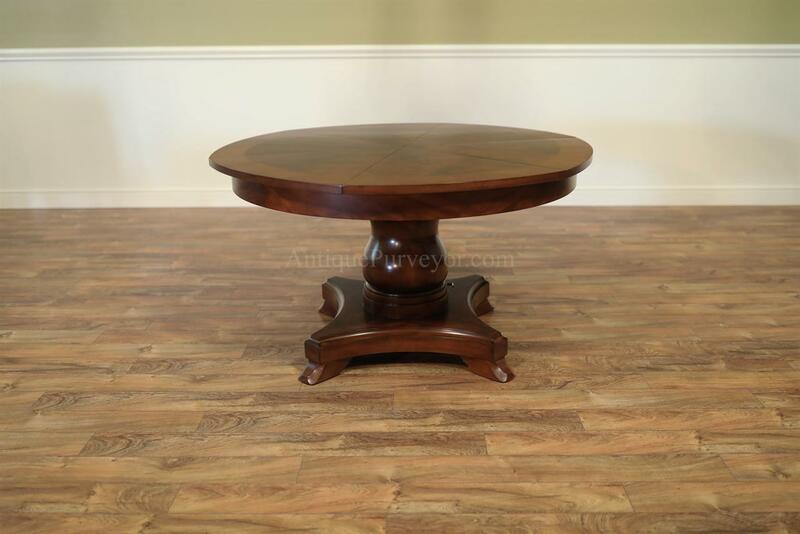 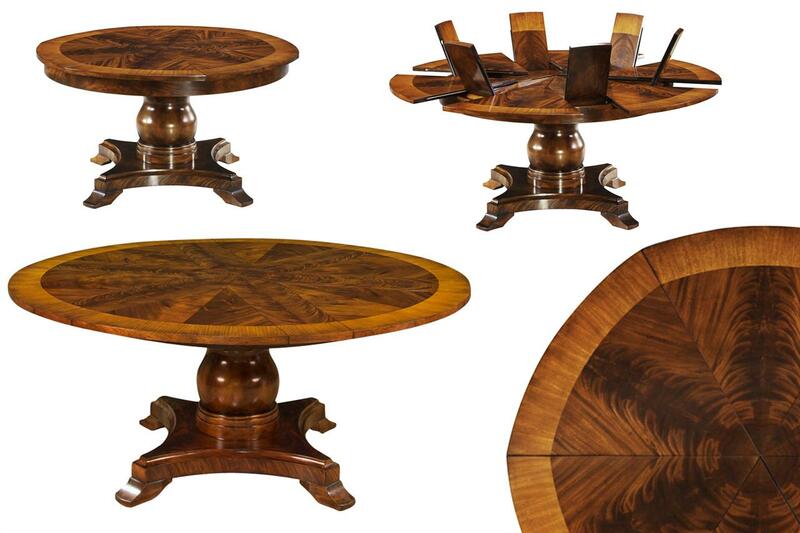 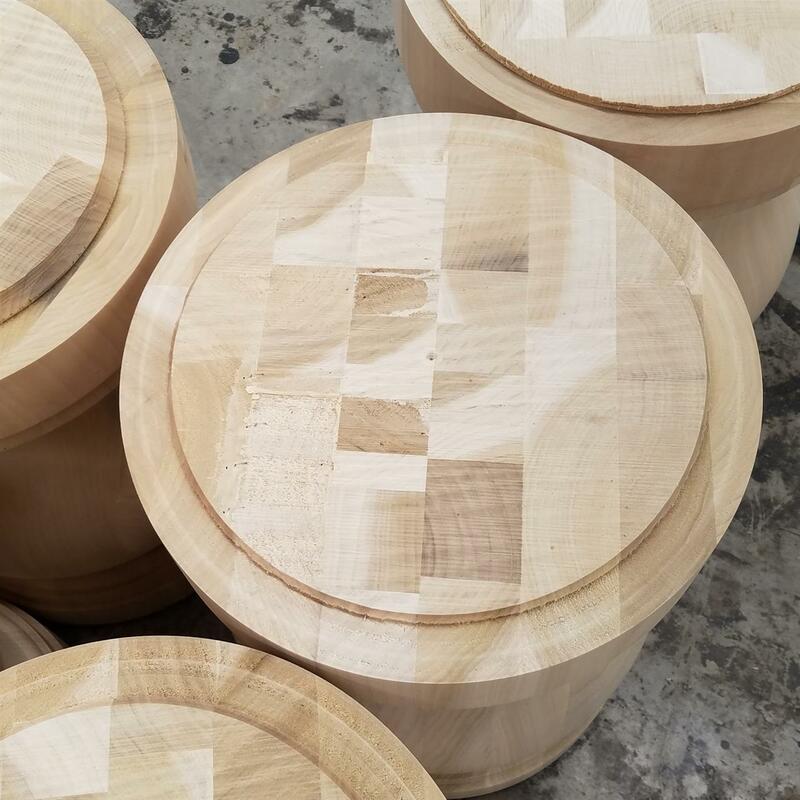 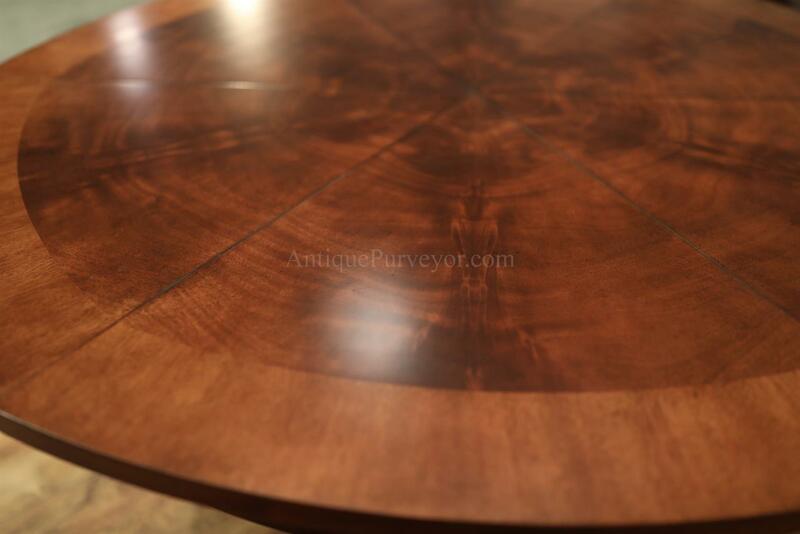 Description: Expandable round to round mahogany pedestal table with self storing leaves. 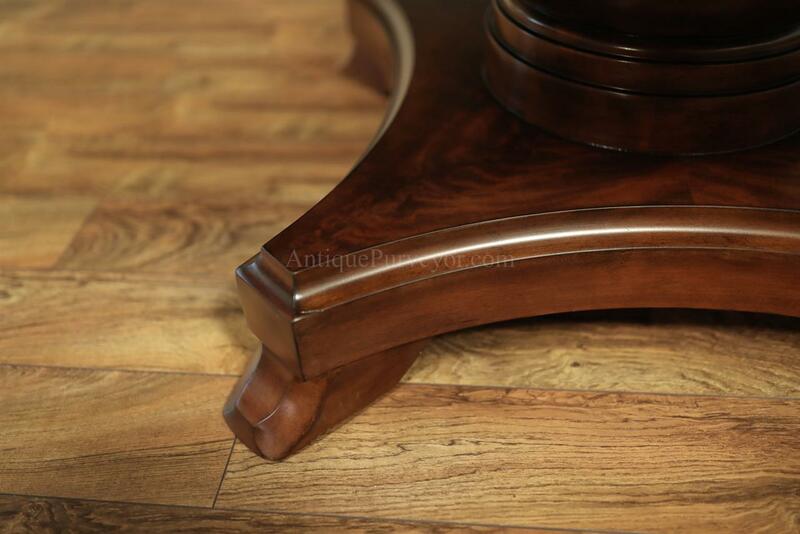 This tradtional design is suited well for formal spaces or casual spaces. 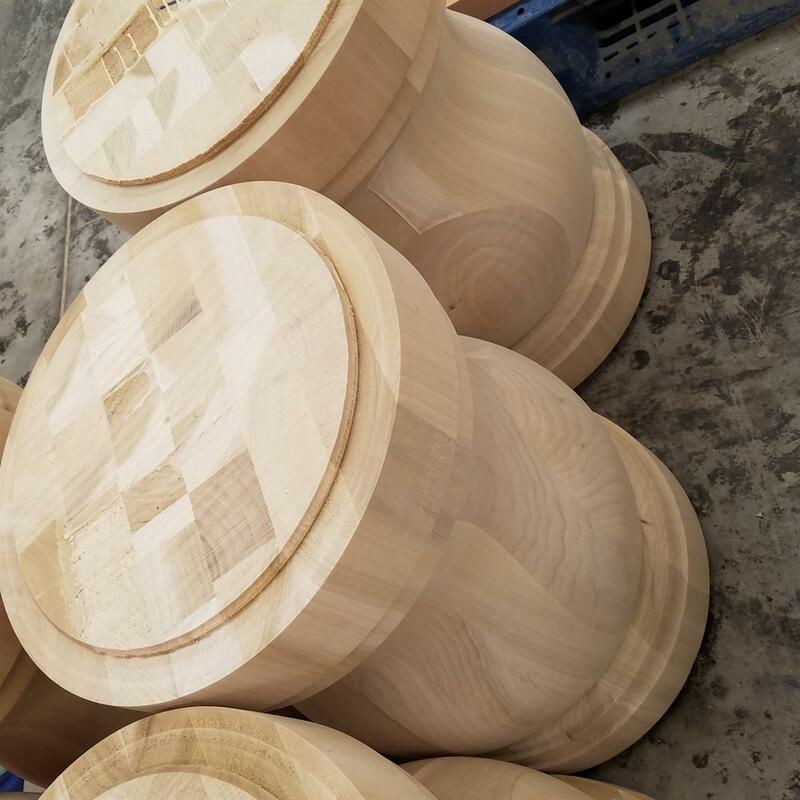 The base is significant. 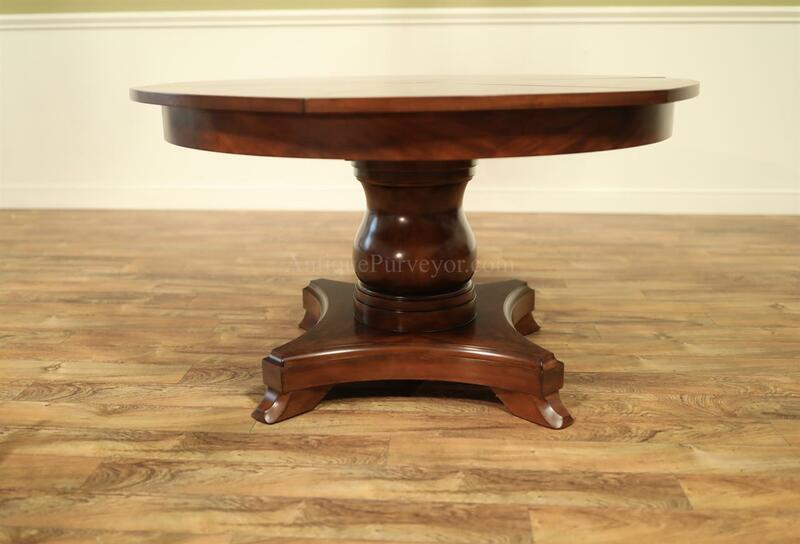 A well thought out pedestal table with solid walnut urn base. 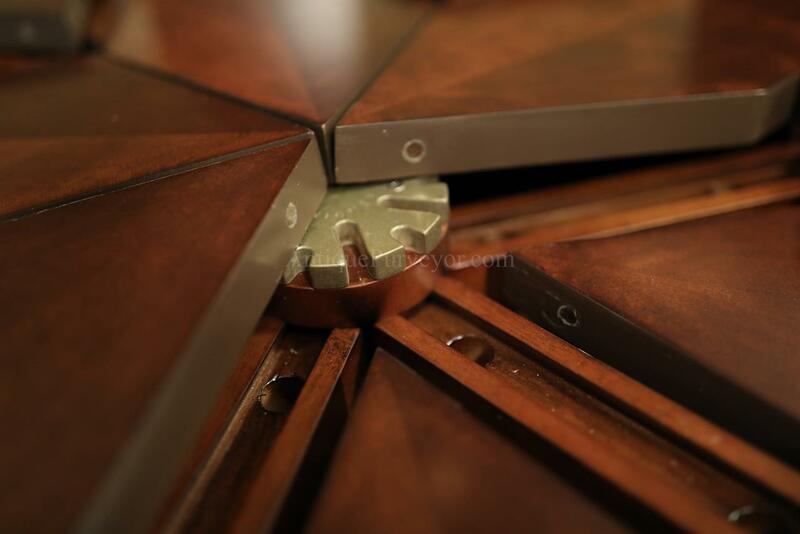 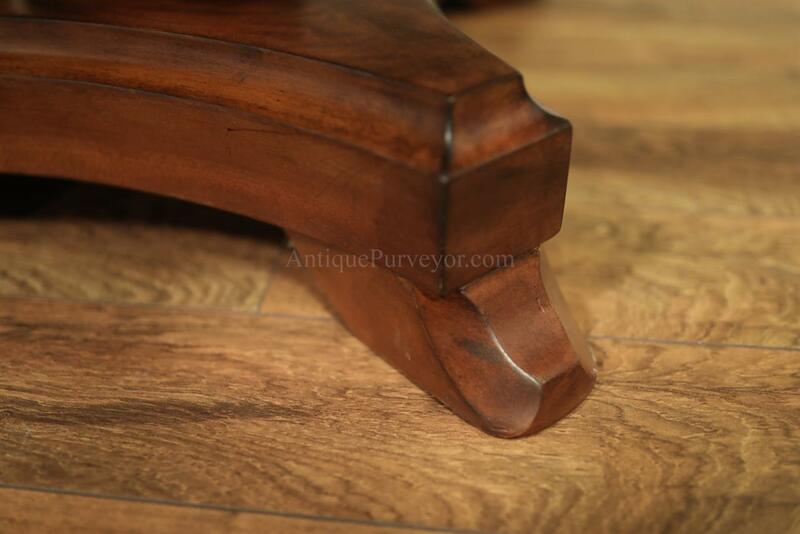 Short and sturdy saber legs were designed to last indefinately and to hold this table rock solid whether opened or closed. 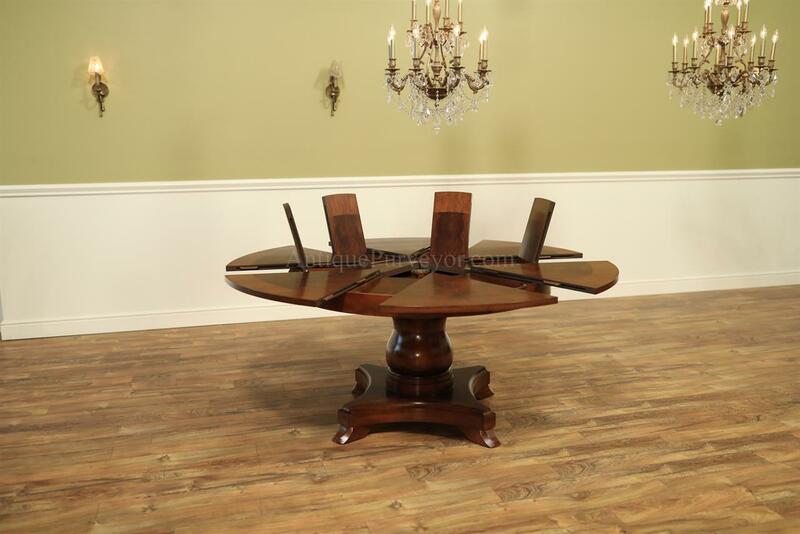 This table is also available in a larger size as well. 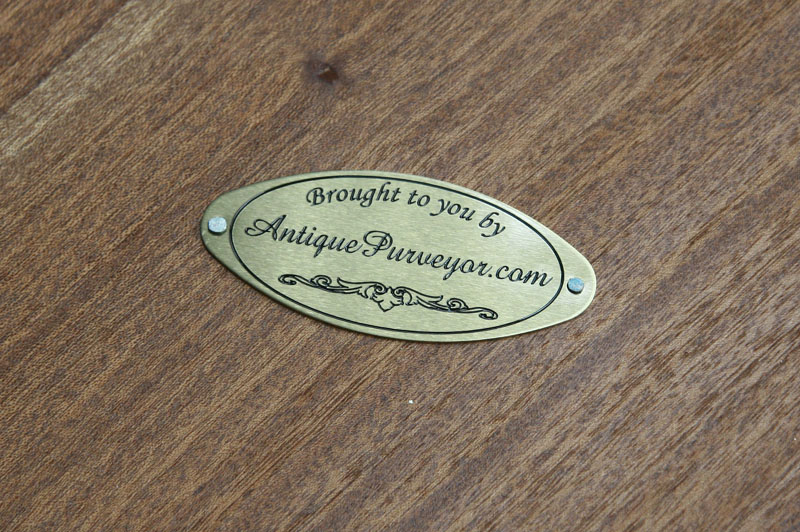 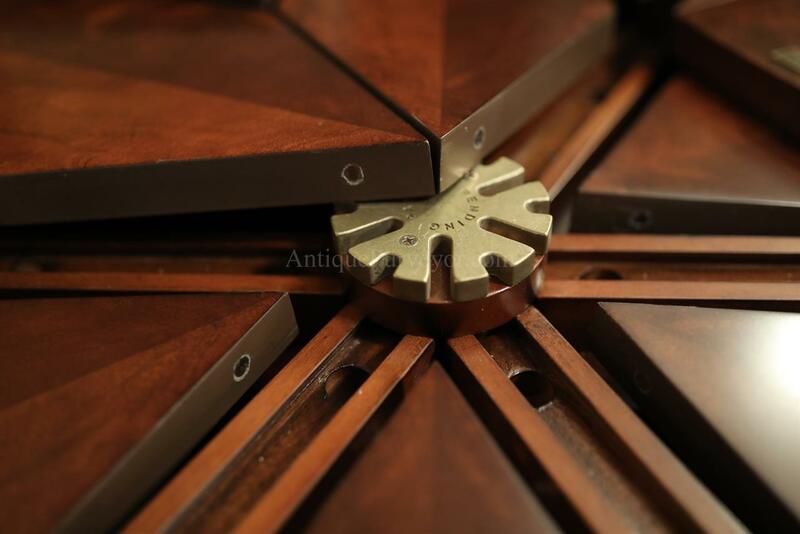 An exclusive design for our AntiquePurveyor online store. 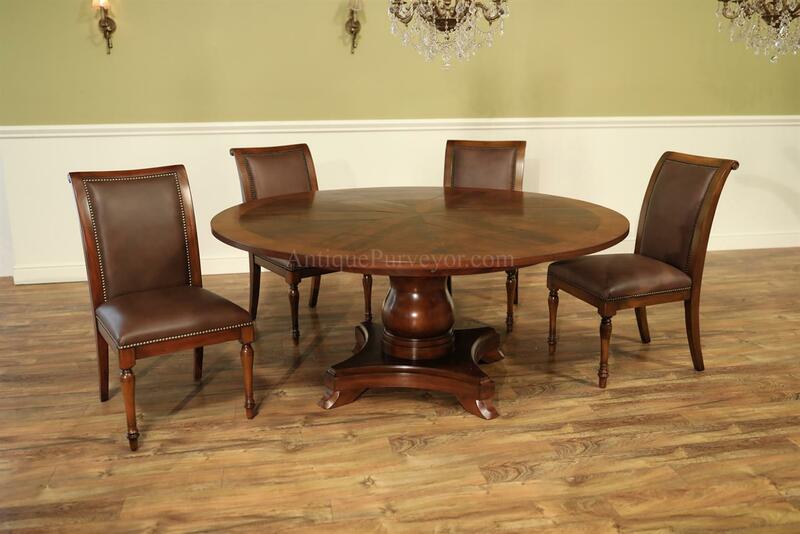 Heavy, tough and significant solid walnut dining chairs with brass nail trim. 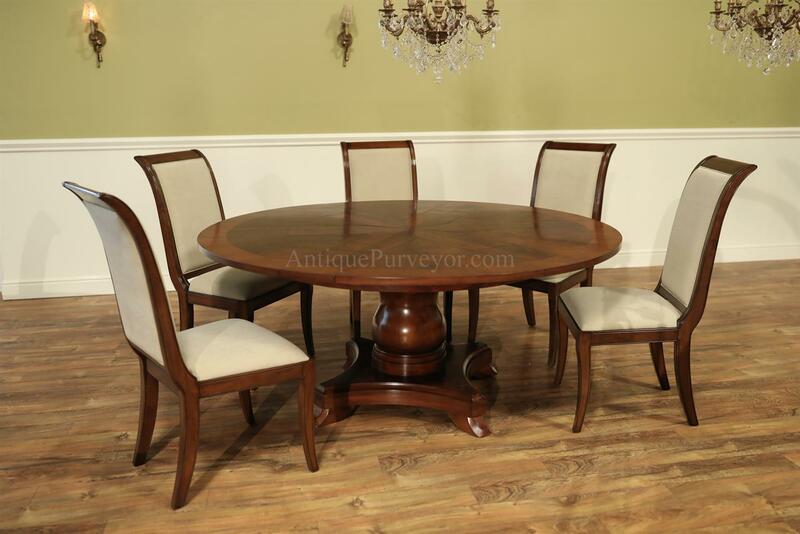 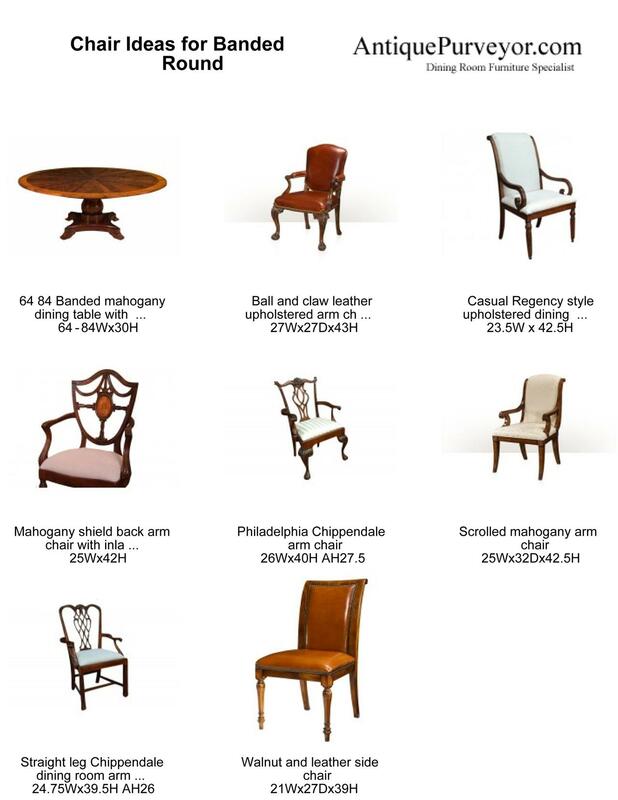 Transitional solid mahogany sleigh back dining room chairs with saber legs and engineered straw color neutral fabric.